Anthony Bourdain's graphic novel, Get Jiro!, has found success on New York Times' Best Sellers List. Get Jiro! 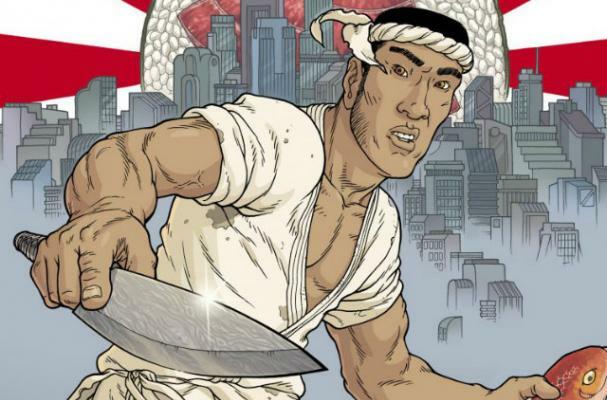 is about a sushi-chef superhero and has the top spot on this week's Best Sellers Hard Graphic Novels list. "This story gives lethal meaning to the phrase 'food fight,'" the Times reads. "In an L.A. of the future, master chefs are akin to crime lords and cravings can be lethal."